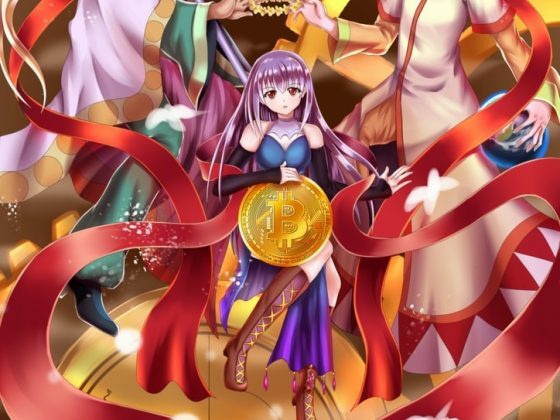 The basic value proposition of ANIME to an anime fan is that a collector of anime art can see the art available for sale on the decentralized ANIME exchange and can purchase them in return for ANIME coins, which the collector can buy on Cryptopia or get through mining or from running a Masternode. The collector can see preview images of all the art available on the system, but can only access the original high-resolution image for the artwork that he owns in his Animecoin wallet. Anyone can make as many copies of the PDF as they want for free, while the actual Spiderman comic book can be verified by an expert as being authentic, and since there are just a handful of these issues still in existence that are in good condition, and there are thousands of dedicated comic book collectors in the world, the market forces of supply and demand create the conditions for maintaining a very high price. That’s a big part of the innovation of Animecoin: you don’t have to wait 50+ years for the art to become rare like in the case of the Spiderman comic book; you can make a rare asset today that cannot be faked and which anyone–not just an art expert who is good as spotting counterfeits–can verify as being authentic using the open-source Animecoin wallet software. Importantly, this entire process is done without any central part acting as the broker or exchange; the Animecoin wallet is built on top of the Counterparty protocol, which takes care of secure escrow at the protocol level, so both the buyer and seller are protected and don’t need to trust each other. At this point, the collector now owns their art and can hold it long-term as a collectible, similar to how he might buy a poster or figurine of an anime character. But unlike a poster, whenever the collector wants, he can list the art asset for sale on the decentralized exchange–maybe for 15,000 ANIME now, if that artwork has become more desirable, or he can send it to his friend as a gift. Think about it: the collector has supported an artist who was making work that he appreciated, and all of the money went straight to the artist, with no commissions or fees to a middle-man. Also, the collector now has a piece of art that is truly, verifiably rare. If the artist specified that a particular art asset should be issued with a quantity of 100, then everyone can trust and rely on this limitation forever–it can’t be changed, just like a bitcoin transaction can’t be reverse later on for any reason. As a result, if the system grows in popularity, and thousands of people are interested in purchasing a piece of art for which only 100 copies exist, then it’s not hard to see how the price of that artwork could increase, say from 10,000 ANIME to 20,000 ANIME. And unlike most collectibles today, such as comic books or Pokemon cards, where when you try to sell them back to the store you are lucky to get back 10% of what you paid, a collector of art assets on the Animecoin blockchain will be able to sell their art assets directly to other collectors without giving up most of the value to a middle-man! 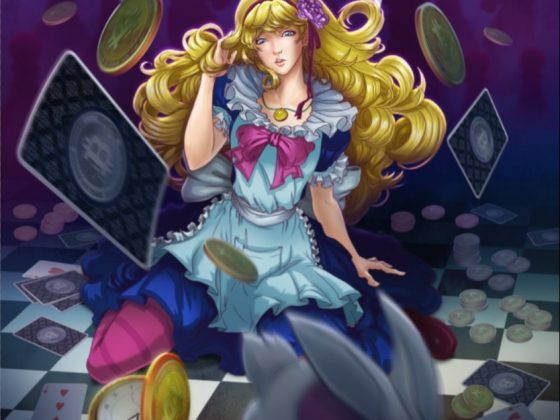 Although the developers of Animecoin have gone to great lengths to make the system easy to understand and use, so that artists who are not very tech-savvy can still use and benefit from the platform, the technology that makes it all possible is sophisticated and represents an innovation in crypto-currency design and functionality. A faster 2.5 minute block time, and a larger block size, which will help avoid some of the scaling issues that have become issues as Bitcoin use has grown rapidly. Shielded transactions using Z-SNARK technology, preserving the security of sender and receiver while maintaining all the integrity of a public ledger. There are currently 2.043 billion ANI coins in existence, and new ANI are mined at the rate of approximately 8 million ANI per year (an annualized inflation rate of 0.39% per year), with no cap on the total number of ANI. While almost all of the existing ANI coins were mined in the initial 6-months of 2014, it is important to note that there was zero pre-mine for Animecoin, and these initial coins were fairly distributed to miners who contributed to the security of the network through proof-of-work. This honest initial distribution is the reason why Animecoin continues to be decentralized, with the current development team controlling under 10% of the total ANI coins in circulation. 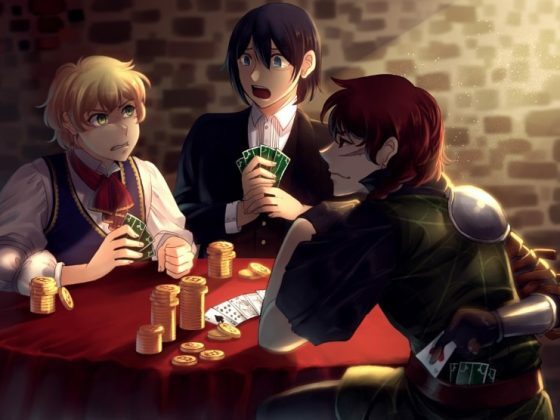 We plan on continuing this tradition of fair-dealing, with ZERO pre-mine for the new ANIME; all costs surrounding project development, marketing, and exchange fees are being covered by the developers out-of-pocket. Eventually, our goal is to establish and endow a non-profit foundation to assist with the long-term funding for the project’s continued development, while maintaining as much decentralization as possible. 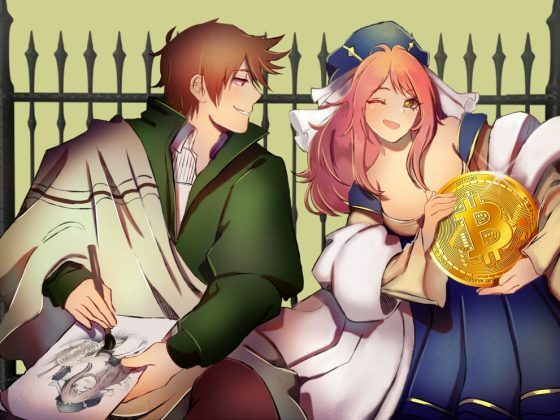 After observing the recent struggles of other crypto projects that did not provide for adequate funding for development and marketing (particularly exchange listing fees), the ANIME development team has concluded that it is in the best long-term interests of the project to have a Treasury fund that will receive 5% of the ANIME mining block reward in perpetuity. While the treasury fund will initially be implemented as a multi-sig wallet owned by the primary development team, this situation will continue only for as long as it takes to for the developers to be repaid all documented, out-of-pocket expenses associated with the development and promotion of the project with 10% interest, compounded monthly. 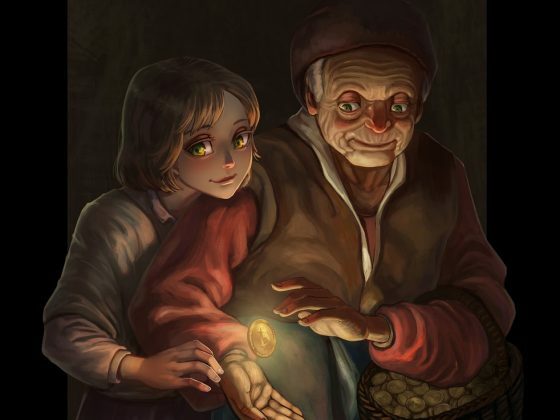 The developers intend that, once the initial startup costs are repaid with interest, the treasury fund income will be transferred to the masternodes and stakeholders of the ANIME network in a truly decentralized way, so that the funds can be directed to projects and recipients that the community votes for securely using their ANIME wallet. At least 50% of the future treasury fund income is expected to be directly re-invested in the ANIME network through the purchase of ANIME art assets and through the distribution of philanthropic grants to artists selected by the community. The new ANIME will have a max supply set at 21 billion ANIME coins. On “day one” of the fork, half of this max supply, or 10.5 billion ANIME, will be distributed to holders of ANI, for a ratio of approximately 5.1 ANIME received for every 1 ANI held on the fork snapshot date, which the developers currently plan on happening sometime to be announced in 2018. 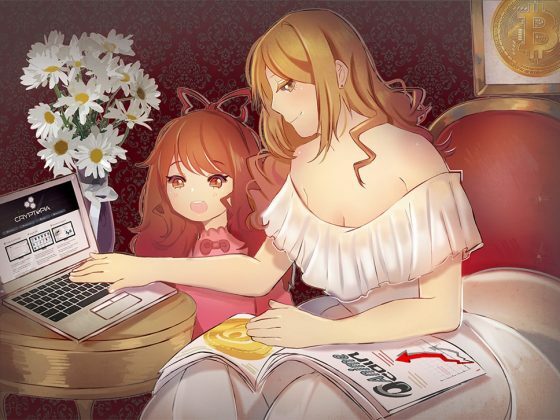 After the initial distribution of ANIME on the fork date, the future growth in the supply of ANIME will closely follow the distribution schedule of Bitcoin, adjusted for the max coin supply and the faster block time. For example, the BTC block reward began at 50 BTC per block, with a new block every 10 minutes. Because the ANIME max supply is 1,000x the size of the BTC max supply, we must multiply this by 1,000, but since there is a new ANIME block every 2.5 minutes instead of every 10 minutes for BTC, we must divide by 4; this implies an initial block reward of (50*1,000)/4, or 12,500 ANIME per block. This block reward would be reduced by 50% every 4 years, similar to how it works in Bitcoin. A Masternode system derived from DASH, but with major changes and improvements to the way Masternodes are compensated and audited by their peers, which will make the system more secure and decentralized. Masternodes in the ANIME network will do a lot more work than in other Masternode coins: they are responsible not only for verifying transactions on the Animecoin network, but also for validating, storing, and retrieving Animecoin art assets. The initial coin requirement for a Masternode will be set at 10 million ANIME. Masternode owners will receive their pro-rata share of 20% of the mining block reward and will also receive their share of any art registration fees. 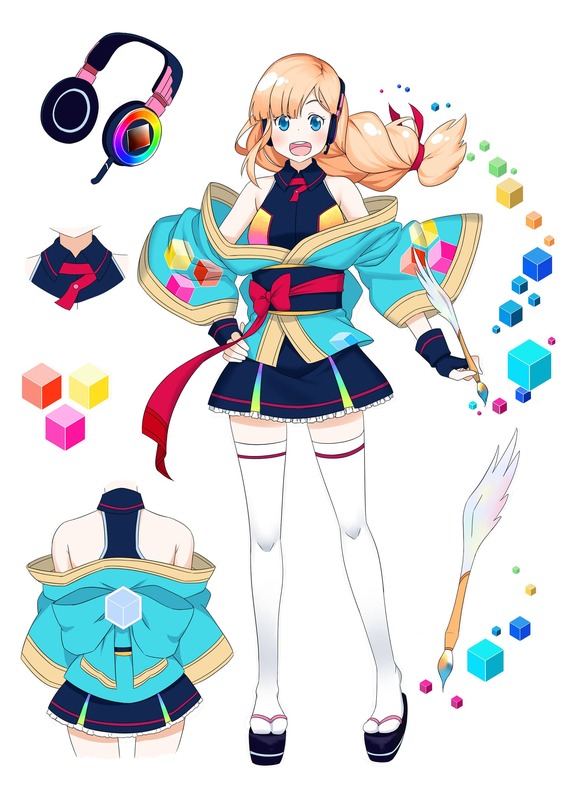 In addition, Masternodes will have a special privilege in the Animecoin network: only they will be allowed to produce unique, one-of-a-kind art assets; all other users of the Animecoin system must create a minimum quantity of 10 pieces for their art assets. Each Masternode will be able to generate approximately four of these unique art assets per year, which presumably will become more valuable because of their extreme scarcity. 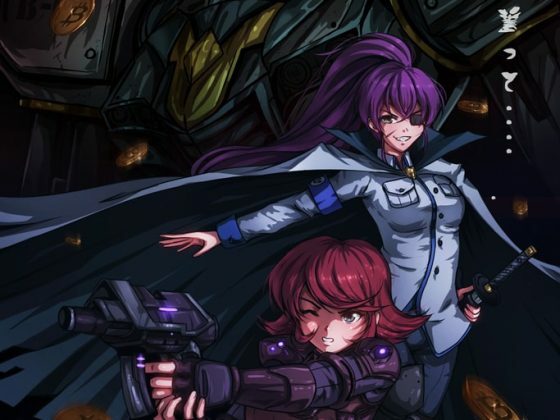 Importantly, and unlike the vast majority of Masternode coins on the market, the financial interests of Masternode owners will not be placed above the security of the ANIME blockchain, and the ANIME blockchain will award 75% of the mining block rewards to the miners that maintain the security of the network, with 20% going to owners of ANIME masternodes, and the remaining 5% to go to a treasury fund to support the development and marketing of the project, and in particular to help cover the considerable cost of exchange listings. (In comparison, DASH gives just 45% of the block reward to miners). The asset creation and decentralized trading functionality of the Counterparty protocol. Note that this is different from XCP tokens, which are built on top of the Bitcoin blockchain. The Animecoin project is only taking the code from Counterparty, and instead of building a separate protocol layer on top of ANIME like XCP is built on top of BTC, the functionality of Counterparty is embedded in the ANIME coin protocol itself. An all-new file storage layer that will be run by the Masternodes for storing the art images that combines several break-through technologies to create a robust and fault-tolerant system that will protect the art assets for the long-term, even without requiring a centrally coordinated server. Our system combines the Kademlia Distributed Hash Table algorithm with LT-Codes, all with end-to-end encryption using the Signal protocol. While the specifics are complicated, the basic idea is that when a new art image is registered on the Animecoin network, a group of Masternodes are randomly selected by the network to process the file, breaking it up into thousands of redundant chunks, which are then redundantly spread out to all the Masternodes in the network. A file can be reconstructed by assembling enough of these blocks, and 3 times more of these blocks are stored than are needed to reconstruct the original image files, so that even if many blocks are lost in the future, the images will always be safe. This means that there are two layers of defense against data loss: one is that the chunks of the file are redundant, so that you can lose some of the chunks; the other is that each chunk is stored on multiple different Masternode machines, so it is unlikely that you will lose chunks in the first place. This is made possible by the fact that LT-Codes are a kind of Fountain Code, which means that every chunk of the file is like a droplet of water from a fountain: you just put your cup in and fill it up with droplets, you don’t care about which droplet is which. This avoids the frustrating issue that BitTorrent suffers from, where a few specific chunks of the file are missing from the BitTorrent swarm, and so no one can retrieve the entire file until a peer joins the swarm with that particular chunk. ANIME is not just a solid crypto-currency that is built on top of proven and reliable technologies. It is also one of the few examples of a blockchain with a real-world use case, where the technology will enable useful economic activity that might otherwise not happen. Note: the new AnimeCoin (ANIME) is still in the development stages, and certain key aspects could change as we think of more ideas and get more developers! 1) ZERO pre-mine: developers will start mining at the exact same time as everyone else, on a date that will be pre-announced publicly (tentatively on the coin distribution date soon after the snapshot). 2) 100% of the initial coin distribution will go to existing owners of ANI (which was fairly distributed with no pre-mine), and to owners of MEME in return for use of their codebase and to align them with our efforts for ANIM. A) It’s a provably fair way to distribute the initial coins, since anyone can freely buy ANI on the open market right now, before the fork snapshot date, and receive the new ANIME coin. The ANIME coin emission schedule will roughly look like Bitcoin’s: a maximum of 21 billion coins will ever exist. 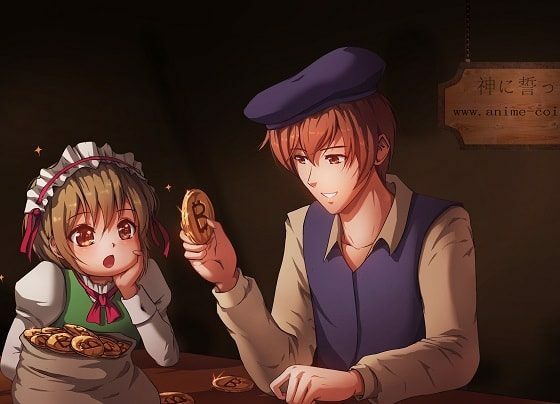 Unlike all other existing masternode coins, which usually take 40% to 50% of the mining block rewards and give them to masternode owners at the expense of the security of the coin’s blockchain, ANIME will give owners of masternodes just 20% of the block reward. Other than the 5% treasury/development fund, the other 75% of the block rewards goes to the miners, as it should, since they are the ones making the network secure by investing work(electricity). This is the only provably secure way currently known to have any chance at a truly secure crypto-currency! In order to incentivize owners of the new ANIME to run masternodes, which will provide much of the new and exciting functionality in the ANIME project, the network will compensate them in other ways besides an allocation of the newly minted ANIME coins: masternodes (which will require 10 million ANIME to establish) will have special privileges on the ANIME network to issue unique, indivisible blockchain assets (called Waifu Assets); all other ANIME blockchain assets will require a minimum quantity of 5 and maximum of 10,000.Furthermore, Waifu assets will be required to be original/unique to a given anime character, and will be assigned in a decentralized way (through consensus of other masternodes) to ANIME masternode owners in a transparent and fair “first-come, first-serve” basis. ANIME will use the same peer-reviewed and secure Equihash algorithm as Z-Cash. To our knowledge, there are currently no available ASIC miners for the Equihash algorithm; if an ASIC were to be developed in the future for Equihash, the developers intend to follow a strategy similar to the Monero project, and quickly change the PoW hash algorithm used by ANIME to a new one that does not have available ASICs in the market. This is the revolution in the anime industry you have been waiting for! We would love to see fan arts of our mascot! We host contests and give away free AnimeCoins to those who submit great fan art to our contests!